The Zero Waste Life takes practice, and I would like for us all to go down this trash-less road together. That is why I created "My Zero Waste Life." 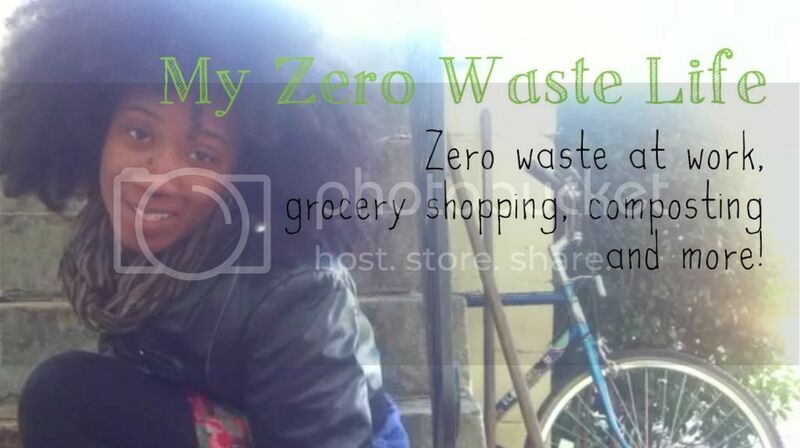 "My Zero Waste Life" is a vlog about my everyday life sans trash. There are so many methods to my trash-less madness that I often leave my viewers in the dark. The vlog will help to highlight my small victories of zero waste life. I also show my grocery store 'starter kit,' which includes my old-lady cart, canvas produce bags (approx. 6), Mason jars (approx. 6) and two reusable bags. You can get a demonstration of my time spent in the bulk aisle of the grocery store in my "How to Zero Waste Grocery Shop" post. You get a glimpse at the lazy man's compost, which is the most effortless way to get nutrient-dense soil in your backyard for FREE!!! After last year's leaves had fallen, I raked all of the leaves into two big piles. NO fancy equipment here! I dump my scraps into the compost piles maybe once or twice a week and turn it. In this video, I am also hanging out at one of my jobs, The Dunwoody Nature Center. I am an environmental educator, and I really enjoy getting kids comfortable with nature and science.